It’s not just beautiful in sight. 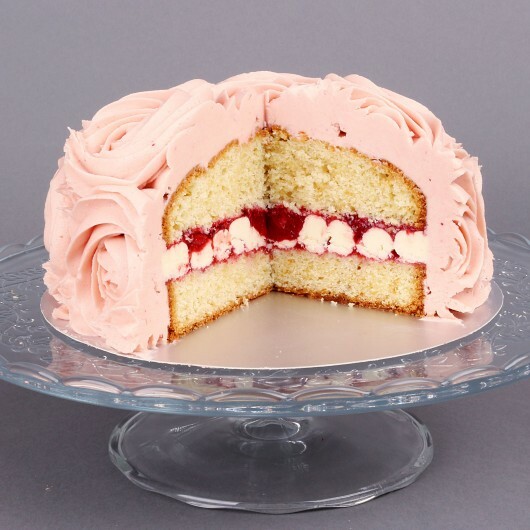 It’s two-coloured, very delicious, moist and fruity. 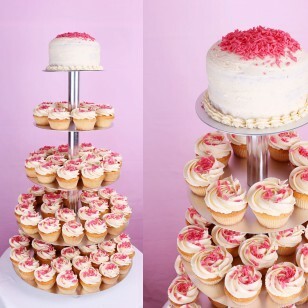 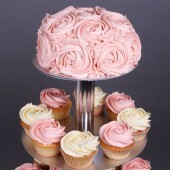 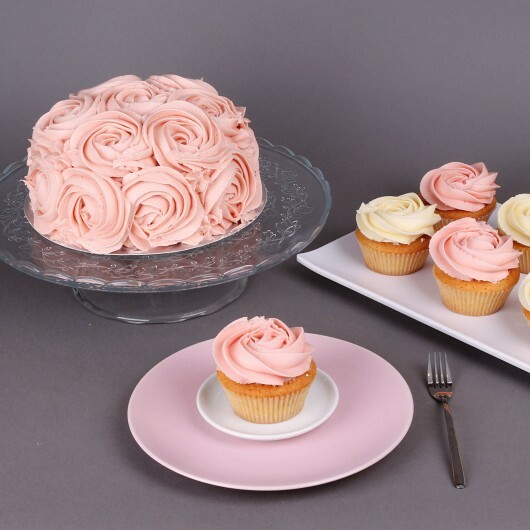 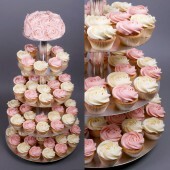 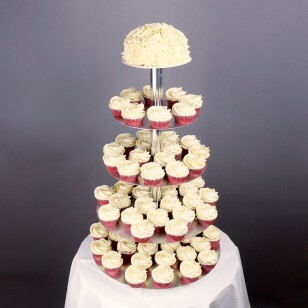 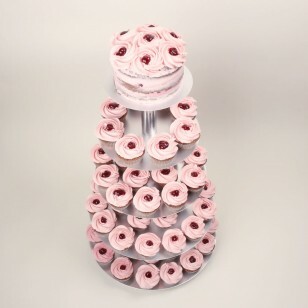 Our Strawberry Wedding Cupcake set is made of classic Vanilla cupcakes, filled with Belgian strawberry jam. 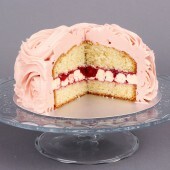 The newlyweds get a cake made of two vanilla-flavoured layers with buttercream frosting and strawberry jam in between. 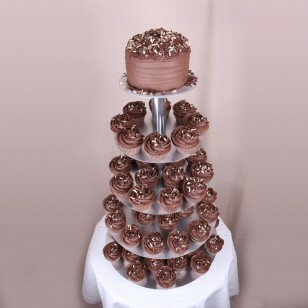 It’s also decorated with large roses made of buttercream frosting.